Horace Dean Hinshaw2,3,13,14,15 [Dean Hinshaw16]. Hinshaw, Horace D., head-of-household, age 25, born in Indiana; father born in North Carolina; mother born in Indiana; rented home; [..occupation unclear..]. 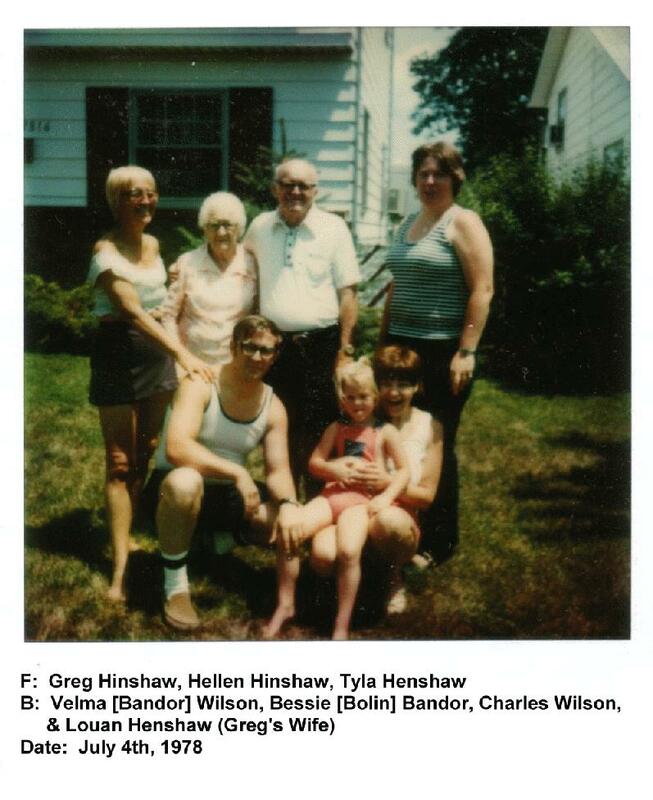 Hinshaw, Susie Z., wife, age 17, born in Indiana; father born in Ohio; mother born in Indiana; attended school. Hinshaw, Imogene F., daughter, age 5 months, born in Indiana; parents born in Indiana. Hinshaw, Horace, head-of-household, age 34, born in Indiana; parents born in Indiana; first married at age 29; rented home ($30 rent); no radio in home; occupation: commercial agent, calls on customers; World War I veteran. 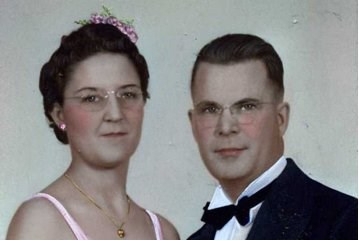 Hinshaw, Flo, wife, age 23, born in Indiana; parents born in Indiana; first married at age 19. 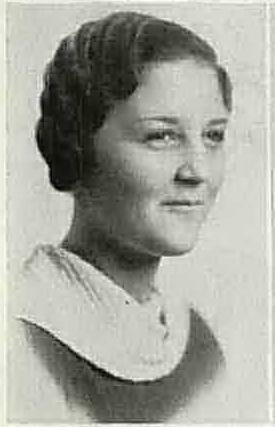 Hinshaw, Imogene, daughter, age 10, born in Indiana; parents born in Indiana; attended school. Hinshaw, Horace Jr., son, age 1 year 3 months, born in Indiana; parents born in Indiana. Hinshaw, Horace D., lodger, age 45, born in Indiana; completed 2 years of high school; on Apr 1 1935 was living in the same place/town; divorced; occupation: manager, overland freight service; worked 52 weeks in 1939; $2700 wages in 1939. Velma Mae Rickert, 83, of Oceanside died Sunday. She was born in Clinton, Ind., and was an administrative secretary. Survivors include her husband, Louis H. Rickert of Oceanside; daughters, Dee Graumann of Cardiff and Tyla Jones of Van Nuys; son, Greg Hinshaw of Norfolk, Va.; sisters, Vicki Blauvelt of Fort Wayne, Ind., and Charlene Soltesz of Melbourne Beach, Fla.; brothers, Max, Frank, Randy and Dan of Fort Wayne; five grandchildren; and one great- grandson. Services: 10 a.m. Saturday, Trinity Lutheran Church, Fort Wayne. Donations: Calvary Lutheran Church Caretaker's Fund, P.O. Box 890, Solana Beach, CA 92075. Arrangements: El Camino Memorial Encinitas Chapel. 1920 census, 4th Ward, Logansport, Eel Township, Cass County, Indiana; roll T625-425, ED 36, page 6B, line #69, dwelling #103, family #121. Imogene Francis Hinshaw birth certificate. Imogene Francis Hinshaw death certificate. Horace Dean Hinshaw, Jr. birth certificate. Horace Dean Hinshaw, Jr. death certificate. 1940 census, 5th Ward, Fort Wayne, Allen County, Indiana; roll T627-1116, ED 94-33A, page 3B, line #54, household #74. Contribution from Mike Bandor (). Indiana Marriage Records Index 1845-1920; Ancestry.com; book C26, pg 165. Indiana Works Progress Administration, 1940; book C-26, page 165. Indiana Marriage Records Index 1845-1920; Ancestry.com; book C-28, pg 166. Ancestry Family Tree data "Bandor-McNair (FTM 2014)" posted by "MBandor" (Mike Bandor ).